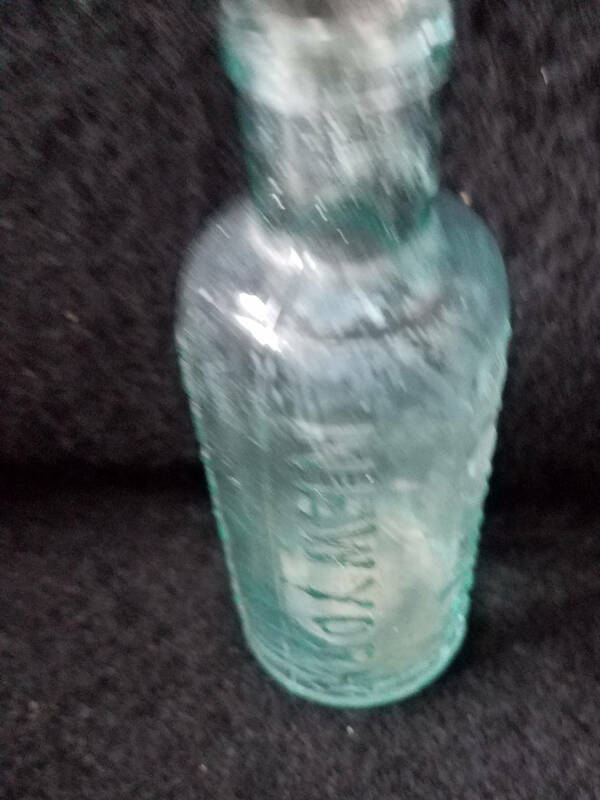 This bottle was made anywhere from 1871-1910. 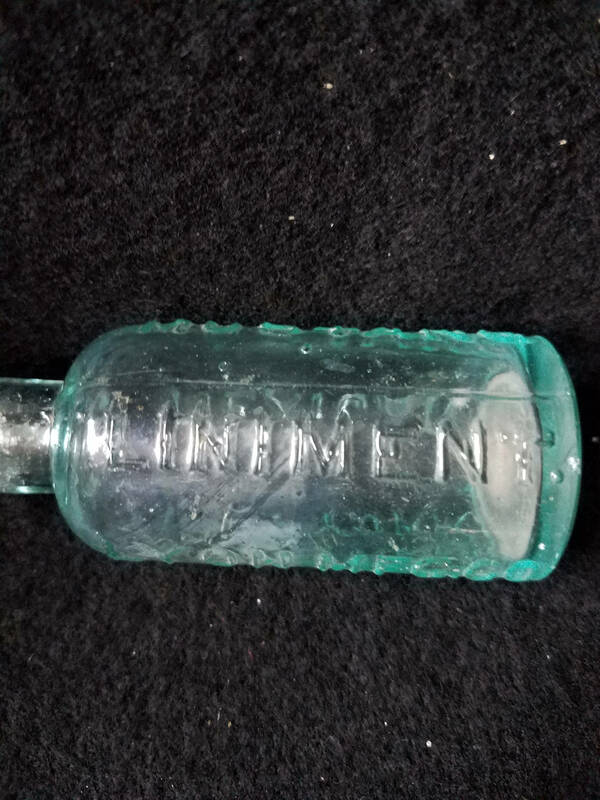 It is an aqua bottle that held the liniment which was advertised for man or beast. The company started in 1871. 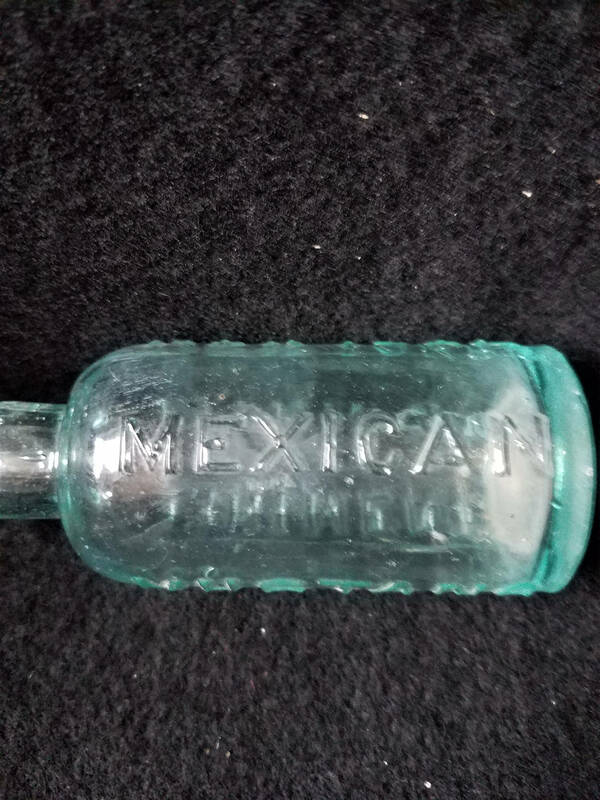 The bottle is 4" tall and the bottom 1.5" in diameter. 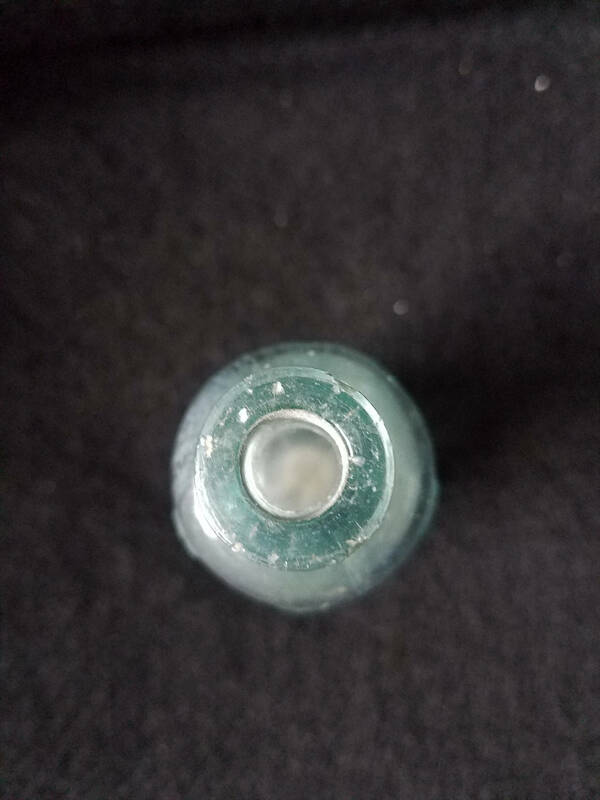 It developed a few bubbles in the manufacturing process and is in good vintage condition. It has a couple of tiny chips in the lip and a couple on the bottom.